Well folks, I have finally decided on a new smartphone. But first, I'll expand a little on my quest. 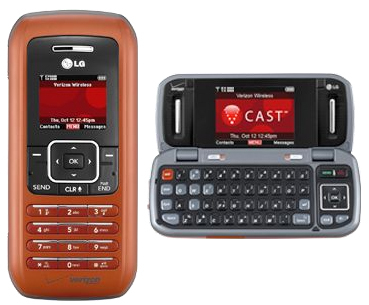 It began with the En-V, LG's Frankenstein monster of a cellphone. Candybar scheme on the outside, flippy full-keyboard and widescreen goodness on the inside. And for a few bucks more, I got the GPS add-on. 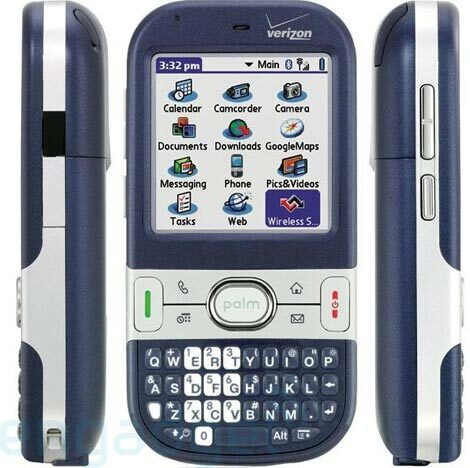 Life was good for a while, but over time I began to discover what I really *wanted* out of a cellphone. Surprisingly, the voice/phone part was really a small part of it. I wanted a full qwerty keyboard for texting and IM, a decent camera, a good picture viewer, and a decent web browser so I could connect with Google mobile and view things like my calendar and email. Most of all, I needed a more robust platform so I could later add on programs depending on how my needs changed. What I needed was a smartphone. As replacing the En-V was not an emergency, I took my time shopping around. Even though I was with Verizon, I was willing to break the deal and jump to another carrier if the phone was right. I looked at the Blackberry Curve, the iPhone, the Instinct, the Voyager, the Blackjack, and all the other usual suspects. Let me first say that the iPhone is a hot little number. The new 3G has integrated fixes for many of the complaints that people had about the Gen 1, and it is really a pleasure to play with. The functionality and intuitive nature of the UI is second to none. But a couple of things killed it for me. $200 and two years in bed with AT&T?! Yeah, right. But more importantly for me, it is Apple's outright hostility towards the hacker community that is a deal-breaker. I'll rant more about this later. Anyways, the other phones like the Voyager and Instinct were just iPhone knockoffs in my opinion. Poorly implemented touch screens, varying levels of unresponsiveness, yadda yadda. The only two that held my attention based on my needs, were the Blackberry and the Centro. Part of me wanted to just wait for the FreeRunner or the first phone with Google's Android platform, but all at once my phone situation suddenly became urgent. I had dropped and severely damaged my En-V. So, I drove to my local Big Box and test drove the Centro for a bit. Oooooo, it was a cool, refreshing blast of pure Palm. It has an excellent touchscreen, proven and reliable apps for things like pdf's or Word documents, and a really slick Google Maps application! Who cares that it's ultimately a legacy device? When Palm decides not to support it anymore, the Centro's not going to vanish in a puff of smoke. And the software developers might well continue to update their wares, with or without Palm's blessing. However, my gut tells me that the recent breakout success of the Centro just might be making Palm rethink their long-term plans for the O/S. In short, the Blackberry never had a chance. Centro had me at hello. After 48 hours of playing with it, I'm a pretty happy consumer. I did a dead-easy hotsync with my contacts backed up from my En-V on my linux desktop. Then I installed the newest Google Maps (complete with the new "my location" feature), a PDF reader, Facebook, and Solitaire. I can easily access my Google Calendar from the built-in web browser (which also renders other mobile pages very well including Youtube). And a surprise bonus is that I can retrieve my corporate email using Palm's Versamail application. My only complaint at this point is the battery-life. I almost didn't make it through a full day. But I'm sure I can cure that problem with a high capacity battery.